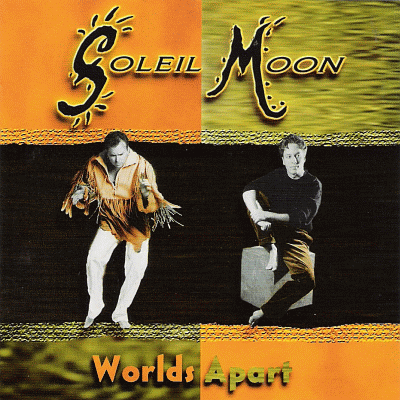 “SOLEIL MOON is a duo formed in mid-nineties by two career/session musicians; Larry King and John Blasucci. More rock, Larry wrote songs and sung backing tracks for other artists, and even composed a rock opera staged in the US East area. John is a trained session keyboardist and orchestrator, but has a completely different background, as he came from the jazz scene where recorded on countless albums and played with big names of the genre. What they have done (and still do these days) with Soleil Moon is pure magic. Both took enough time to compose one of the best West Coast AOR / Adult Contemporary albums of all time. Yes, it’s that good. For this magnificent recording, they secured the contribution of top session players to give these superb songs the quality playing they deserved. Masters of the highest caliber such as guitar maestro Michael Thompson (just listen the track “I’d Die For You”, possibly, his best recording ever), Kenny Aronoff, Warren Hill, Lenny Castro and even the London Symphony Orchestra. That’s what I call ‘got contacts’. I can write ten thousand lines (and more) threshing a track-by-track, as all are so marvelously composed, arranged, executed, produced, etc. that you can’t find enough words to describe this masterpiece. Instead of this, I beg you not to miss this golden CD, which easily ranks in my Top 50 of all times. You have it all here; smooth West Coast, AOR, Adult Contemporary, stylized Pop, Classic Rock… everything.